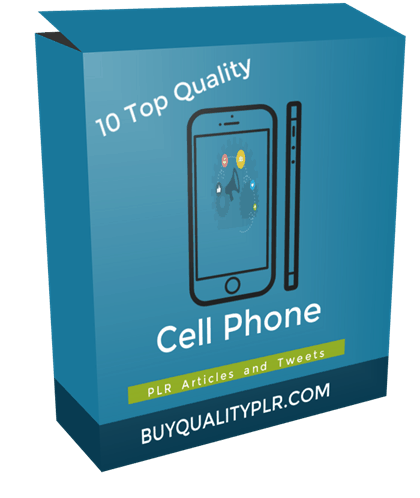 In this PLR Content Pack You’ll get 10 Top Quality Cell Phone PLR Articles and Tweets with Private Label Rights to help you dominate the Cell Phone market which is a highly profitable and in-demand niche. 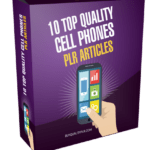 These Cell Phone PLR articles are available in Text file format and can be downloaded instantly after purchase. 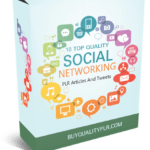 What Can You Do With This Cell Phone PLR? 5. Do You Need to Insure Your Cell Phone? 8. What Is Too Hot or Too Cold for a Cell Phone? A stolen cell phone is a nightmare scenario for most phone owners. You’ve not only lost the phone and the data, you might also be vulnerable to have sensitive personal information accessed by the criminals. 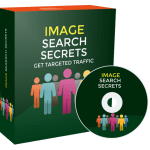 Fortunately, there are a number of things you can do to minimize this risk and perhaps even get your phone back, or at least not suffer the devastating loss of your photos, contacts and other valuable data. 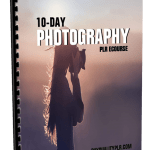 This will help prevent loss of valuable items such as your photos. Take your phone into your carrier’s local store and ask them to duplicate your SIM card. Keep it in a safe place just in case your phone gets lost or stolen. Don’t leave your phone unattended, flaunt it, or take it to a place like a public beach where it will be vulnerable to theft. This will stop opportunistic thieves, though not professional ones. The amateurs might just dump your phone when they see they can’t use it, making it easier to recover. Access it on a desktop computer as soon as your phone has been stolen. You might get lucky and find it has been dumped if the amateur thieves can’t crack it. Most policies cover damage, loss and theft. You will get the phone replaced for the cost of one low deductible, such as $50. IMEI stands for International Mobile Equipment Identity. You can find it on your phone by typing “* # 0 6 #”. You will receive a 15-digit number that is unique to your phone. 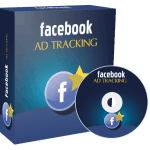 It is recorded by mobile companies every time the phone is turned on or being used. Write down your IMEI number and report it to the police if your phone is stolen. They can then track the phone to try to get it back quickly, before professional thieves have the chance to wipe the number. 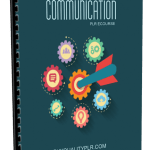 We will only be selling 50 copies on this Cell Phone PLR content pack, so don’t waste any time and grab your PLR license while it’s still available for sale.